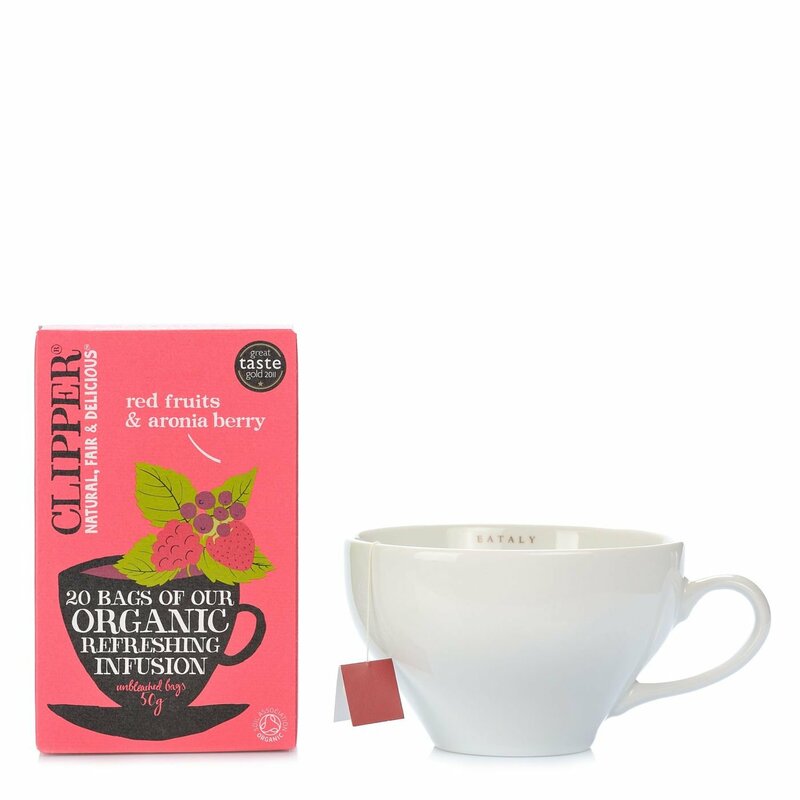 This red fruits and aronia berry infusion is made exclusively with organic ingredients, with added rosehip, nettle and aronia berries, from this bush in the rosaceae family that produces black berries similar to blueberries but with a more astringent flavour. All these ingredients create a well-balanced, intensely perfumed infusion blending the sweet and acidic tones of red fruits. So why not sip a cup of warm infusion with a slice of blueberry jam tart, for a deliciously tasty snack. Ingredients hibiscus* (45.5%), rose hip* (17.5%), liquorice root* (Glycyrrhiza glabra), nettle*, aronia berries* (5%), natural flavourings, pineapple*, raspberry* (1%), strawberry* (1%). Contains liquorice - people suffering from hypertension should avoid excessive c For more information on product labels, please contact our Customer Service department. The information on the labels of the products may vary for reasons beyond our control, therefore, there may be discrepancies between the information on the site and that on the products delivered. Please always check the information on the product before consumption or use.